1.Fort Hood shooting. 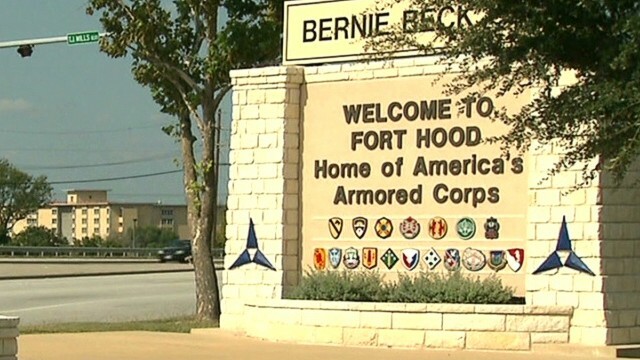 Military investigators are trying to figure out why a soldier went on a shooting rampage at Fort Hood, Texas. 34-year-old Army specialist Ivan Lopez killed 3 people and wounded 16 others before turning the gun on himself. Wednesday's mass shooting was the second at the military base in just under five years. Lopez was served in Iraq for four months but was not in combat. He was undergoing treatment for mental health issues but had not been diagnosed with Post Traumatic Stress Disorder. Lopez recently purchased a .45-caliber handgun used in the shooting. Army Secretary John McHugh told the Senate Armed Services Committee that while background checks showed Lopez had "no involvement with extremist organizations of any kind," no motive is being ruled out. "We are going to keep an open mind and an open investigation and we will go where the facts lead us and possible extremist involvement is being still being looked at very, very carefully," McHugh said. 2. MH370. The search for the missing Malaysia Airlines flight is intensifying. The British Royal Navy survey ship, HMS Echo, which has been searching for sonic transmissions from the plane's so-called black boxes, will conduct a specific search in the Southern Indian Ocean Friday. An Australian ship, The Ocean Shield, is also due to arrive in the search area overnight. The Australian ship is equipped with special technology that can detect "pings" from the aircraft's flight data recorders. The batteries on the black boxes could die by Sunday. Although the 27-day search for the plane has turned up no clues, Australia's former defense minister and current ambassador to the U.S. says investigators will push ahead. "We'll keep going till hell freezes over," Kim Beazley said. "It could take months, it could take years." 3. Senate CIA report. The Senate Intelligence Committee voted to release key parts of its report on the CIA's post-9/11 detention and interrogation program. U.S. officials tell CNN the report draws a harsh portrait of the spy agency and the legality of its tactics, a point echoed by Sen. Angus King (I) ME, an Intelligence Committee member. "It is clear to me, after carefully reading both the study and the CIA’s response, and after discussing the matter with dozens of experts, that the United States failed to meet the high standards upon which our country was founded and that some detainees were subjected to techniques that constituted torture," King said in a statement. 4. Who's hot in politics. Try Sen. Elizabeth Warren (D) MA. According to Quinnipiac University's National Thermometer poll, Americans have warmed up to the freshman senator more than any other current political figure. The survey asked voters to rate their feelings toward political leaders by choosing any number between0 to 100. The higher the number, the warmer or more favorable voters feel about that politician. Warren clocked in with a temperature of 48.6 degrees. Hillary Clinton was second at 47.8 degrees. Rep. Paul Ryan (R) WI was the hottest Republican with a temperature of 47.4 degrees. The Quinnipiac poll showed N.J. Gov. Chris Christie cooling off considerably with voters. The potential 2016 GOP presidential contender came in ninth at 45.2 degrees, down from 55.5 degrees in Quinnipiac's January poll.